Mexico packs a punch when it comes to holidays, and both Cancun and Riviera Maya promise a totally unforgettable experience. With a coastline on the warm Caribbean Sea, a rich Mayan history and some of the best nightlife (and Margaritas), you’ll fall in love with what Mexico has to offer! 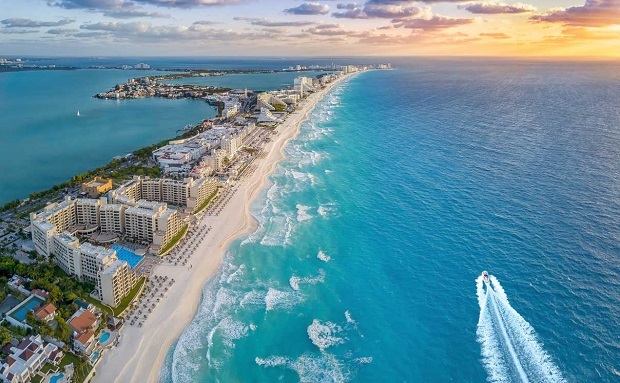 So, if you’re looking for inspiration on things to see and do, or simply want to know where the best beaches are to relax, then read on as we uncover the best of Cancun and the Riviera Maya. 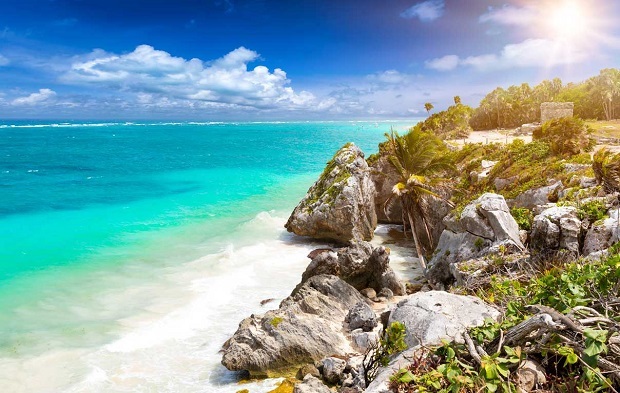 On Mexico’s Yucatán Peninsula, Riviera Maya is home to the lively Playa del Carmen and historical city of Tulum. With some of the softest white sand beaches, it’s easy to spend days sunbathing or snorkelling and scuba diving among the reefs. If you enjoy nature, then Riviera Maya offers some incredible national parks and animal sanctuaries including Xcaret Park and Akumal Monkey Sanctuary. You can also explore the Rio Secreto cave of Playa del Carmen and Sac Actun in Tulum. In Tulum itself, there are ancient Mayan ruins to discover including the castle and the Temple of the Descending God all set atop cliffs with stunning views. It’s one of the top places to see in Mexico, especially for a romantic couple’s break, so taking a day to explore the area is always recommended. Close by is the sleepy fishing village of Punta Allen accessed by Sian Ka’an Biosphere Reserve. Once little more than a small fishing town, Cancun is now Mexico’s prime holiday resort. Not least for the wide swathes of white sand and lapping waves, Cancun’s Hotel Zone is where holidaymakers descend for its all inclusive resorts and nightlife that line the many beaches including Playa Marlin, Playa Forum, and Playa Norte on the edge of Isla Mujeres. Ideal for groups, Cancun offers some of the best group activities such as golf, jungle tours, watersports, bars and restaurants. In Downtown Cancun, otherwise known as El Centro, you’ll find more traditional cantinas and bars where locals hang out, as well as shopping malls and markets. An essential trip while in Cancun is to see Chichen Itza – one of the New Seven Wonders of the World. You can do sunrise, daytime and evening tours of this Mayan ruin, which is one of the most visited archaeological sites in Mexico.